Children around the globe are no doubt rejoicing that Halloween falls on a Friday this year, giving them ample time to indulge in sugar-coated treats. Adults have plenty of opportunities get in on the fun as well, with libraries offering macabre literary spectacles. As part of a larger series of lectures, presentations and parties devoted to understanding Gothic subculture and mythology, The British Library is hosting a ticketed event this evening called LATE at the Library: The Sorting. For fifteen pounds, (roughly 24 dollars) visitors are invited to attend a very special funeral - their own. U.K. theater company Les Enfants Terribles repurposed the Library as a funeral parlor, where attendees will be greeted by an undertaker as make their way through the afterlife, all the while enjoying live music and libations. The Library will also open its latest installation Terror and Wonder: The Gothic Imagination tonight. It includes two hundred objects ranging from Mary Shelly’s manuscript for Frankenstein to stills from Clive Barker’s 1987 thriller Hellraiser and celebrates Gothic literature’s icy grip on public imagination. Since Bram Stoker’s Dracula is part of the exhibition, the Library is offering visitors a chance to win a trip to Transylvania. Through the end of January, visitors can continue exploring Gothic tradition by attending a lecture on a rare Victorian era vampire slaying kit, (similar to the one Christie’s auctioned in 2013) or panel discussions on Gothic art’s inspiration for contemporary designers, artists and musicians. Stateside, library patrons can slake their thirst for ghastly art at the Huntington Library in San Marino, California, which recently opened an exhibition of European prints and drawings culled from the Library’s holdings. Various works on paper depict images of witches, goblins, demons and various monsters in order to explore how Europeans conceptualized horror from the Renaissance through the 19th century. This exhibit runs through December 15th, and includes works by masters like Goya, Dürher and Boyle. A new scheme in the United Kingdom will allow millions of orphaned artistic works and historic documents to be released into the public domain. The scheme is intended to provide wider access to about 91 million creative works that have languished for years away from public view because the rights holders were not identified. The Intellectual Property Office can now issue a special license so that orphaned works can be displayed on websites, in books, and on television. The new scheme also allows for renumeration for the rights holders if they identify themselves after publication of the material. The announcement of the new scheme was timed to coincide with the introduction of a new initiative from the European Union called the Orphan Works Directive, which allows cultural institutions to digitize orphan works and display them online. In combination, the new schemes will allow greater access to archival records in the UK, about 50% of which are considered orphan works. 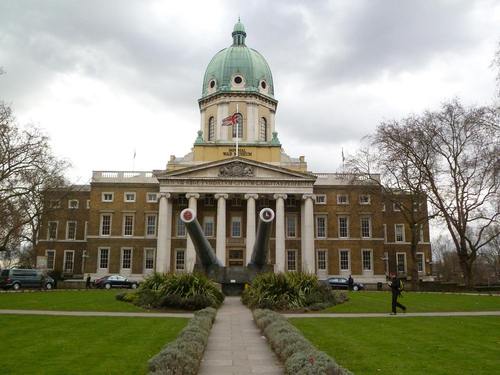 Examples of impacted institutions include the Imperial War Museum, which will now be able to display a variety of letters and diaries from WWI, and the National Records of Scotland, which will now be able to publish selections from 150,000 maps and plans considered orphaned. Last week, a national colloquium on special collections was held at Case Western Reserve University’s Kelvin Smith Library. 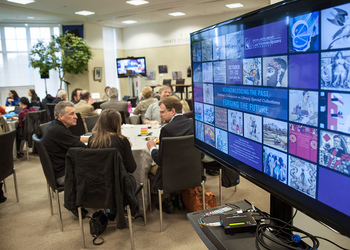 Acknowledging the Past, Forging the Future, a two-day event, brought together librarians, private book collectors, and antiquarian booksellers. A recap of day 1: Sarah Thomas, vice president of Harvard Library and Roy E. Larsen librarian for the faculty of arts and sciences, gave the opening keynote address and spoke about providing “maximum access through minimal processing.” Alice Schreyer, interim library director and associate university librarian for area studies and special collections at the University of Chicago Library, gave the session 1 keynote, in which she focused on the value of private collectors. 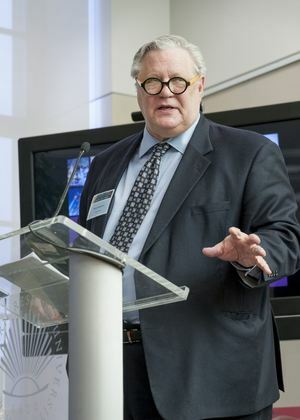 FB&C columnist Joel Silver, director and curator of books at Indiana University’s Lilly Library, moderated the first discussion on the changing nature of book collecting. A second keynote was given by Jay Satterfield, special collections librarian at Dartmouth College, who used his experience with students to talk about access to collections. According to Melissa Hubbard, head of special collections & archives at the Kelvin Smith Library, a video recording will be posted to the university’s YouTube channel in a couple of weeks. Images Courtesy of the Kelvin Smith Library, Case Western Reserve University. I collect books by Pablo Neruda. A large part of the collection came from my travels to Chile and Argentina (including visits to Neruda’s three homes), where I discovered many first editions of Neruda’s works. I’m currently in Charlottesville, VA, where I just completed my Ph.D. at the University of Virginia. I went to college in Connecticut at Wesleyan University, and I’ve now been in the south for quite awhile. Before moving to Virginia to study English literature, I graduated from law school at Wake Forest University in Winston-Salem, NC. My academic experience has been quite varied, but my doctoral work has brought together many of my interests. I studied film at Wesleyan, where I became interested in issues of human rights and documentary filmmaking. At the same time, I took a number of Russian literature classes that introduced me to the ways literature can depict political struggle. I became particularly interested in international human rights law while in law school at Wake Forest, which played a major role in my doctoral work on contemporary Anglophone literature, human rights, and restorative justice. Currently, I have 121 books and pieces of ephemera from 22 different countries. I’ve added a few since finding out I placed in the contest, but I’m still ravenously hunting for an early Japanese translation of one of Neruda’s works. I spent time in Kyoto this summer and visited many antiquarian bookshops, but I couldn’t find any Neruda. The first Neruda book I bought was a used copy of the bilingual Cien Sonetos de Amor (100 Love Sonnets) published by University of Texas Press. I bought it in high school after memorizing Sonnet XV for a Spanish class, and I loved the earthiness of his language. I most recently found--by a sheer stroke of luck--a 1982 Farsi edition of Heights of Macchu Picchu published by an Iranian Press (in exile). One of my favorites is Antologia, an anthology published by Editorial Nascimento with an introduction by Federico Garcia Lorca. It has a magnificent woodcut of a ship figurehead on the cover (just like the many Neruda collected in his Isla Negra home). I found it at a wonderful book market in Santiago, Chile. Polemica: Neruda al Desnudo. This is a rare hand-stapled pamphlet from the 1970s, printed in Santiago. I found it tucked inside a Spanish dictionary at a bookstore in Pittsburgh, and I bought it for $1. I’ve actually finally come into possession of this one. 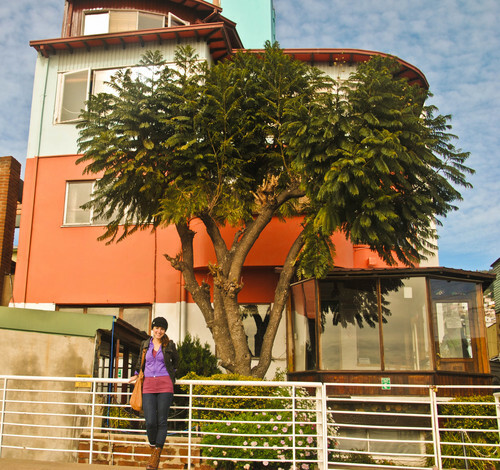 While in South America, I had my eye on a copy of Cantos de Neruda, printed in Lima, Peru in 1943. It has magnificent red-ink woodcuts that accompany some of Neruda’s WWII-era poems. When I tried to buy it, it had been sold. I ended up finding another copy of it at Thomas Goldwasser’s rare books shop in San Francisco. I used the money I won from the contest at the University of Virginia to buy the book, and I’m so thrilled to have it in my collection. What would you consider the Holy Grail for your collection? The absolute holy grail is an original edition of España en el Corazón. This true first edition was printed near Gerona, by Republican soldiers in the Spanish Civil War, on a press with found and recycled materials. If I never have one of these in the collection, however, the next “holy grail” item would definitely be the first edition of Residencia en la Tierra, published by Editorial Nascimento in 1933. Each of these first editions was printed in green ink (Neruda’s signature color) with Neruda’s inscription in each. I actually held one of these at Librería Helena de Buenos Aires, an amazing bookstore in Buenos Aires, Argentina. What a dangerous question! I have so many favorites. I think Jeff Maser’s book warehouse in Berkeley is phenomenal, and I had such an amazing time looking through his treasure trove of modern and contemporary poetry. Librería Alberto Casares in Buenos Aires, Argentina is like a bookstore from a dream with its wooden ladders and shelves filled from floor to ceiling. I could also spend all day (and nearly did) in Collectors Treasury in Johannesburg, South Africa. Like Neruda’s homes, my house is filled with various folk art collections from my travels, including matryoshka dolls from Eastern Europe, Southeast Asian shadow puppets, and masks from Guatemala, Japan, and Russia. Several of Simon’s contemporaries published memoirs of their lives in books, e.g. The Memoirs of a Publisher by F.N. Doubleday (1972), At Random by Bennett Cerf (1977), and at S&S, Turning the Pages by editor Peter Schwed (1984). Alas, Simon’s manuscript went unpublished, and had been kept in the family until now. For anyone out there collecting publishers’ memoirs, unknown pieces like this are rare. Listed in the bookseller James Cummins’ catalog alongside the typescript was a copy of S&S’s first book, The Cross Word Puzzle Book (1924). Under the Plaza Publishing imprint, S&S printed it in a first edition of 3,600 copies, each with an attached pencil. The simple collection of puzzles, bound in blue cloth, had been the idea of Simon’s aunt Wixie--and this particular copy in the Cummins catalog was hers, presented and inscribed by the publishers. It has already been sold for $10,000. Prior to the Puzzle Book’s publication, neither Simon nor Schuster had been in the book biz; Simon was selling pianos when he met Schuster, who was editing an automotive trade magazine. But that little collection of crosswords and the ones that quickly followed were huge successes, bringing in $600,000 by year’s end. Ninety years later, the company remains among America’s “big five” publishing houses. Image: Courtesy of James Cummins Bookseller. 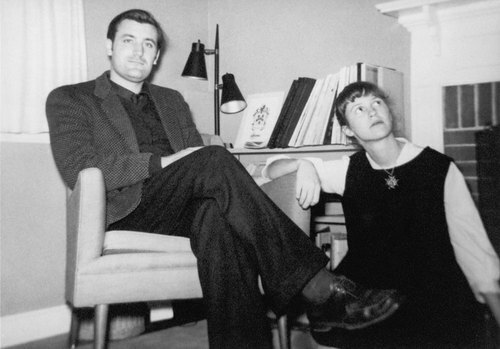 A fit of despair over her troubled marriage to fellow poet Ted Hughes led Sylvia Plath to commit suicide in 1963. In the years that followed, Plath’s work would achieve acclaim and accolades, assuring her a place in the pantheon of American poets. Plath’s sharp, spare verses are the result of many drafts and revisions. 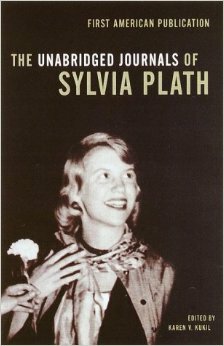 Her journals, on the other hand, were an opportunity for Plath to write freely and unencumbered by critical eyes. In the summer of 1950, just before matriculating at Smith College, Plath began recording the events of her life in almost obsessive detail, and would ultimately cover topics from her never ending quest for poetic perfection to Hughes’ spousal infidelity. Since she died without a will, Plath’s literary estate was left in the hands of her estranged husband. 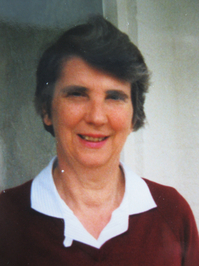 Hughes published her journals in 1982, however acknowledged that he had excised unsavory and unflattering entries from the last two notebooks spanning 1959 through 1962. While there aren’t many events or celebrations planned on the eve of what would be Plath’s 82nd birthday, her influence continues to reverberate throughout the literary community. Author Meg Wolitzer (The Interestings; Sleepwalking) references Plath frequently in her work. Belzhar (September 2014; Dutton Juvenile) - the title evoking Plath’s The Bell Jar, - examines how a young girl grapples with grief by studying Plath’s oeuvre and then writing her own journal. Two other recently published young adult books reference Plath as well - see Bookriot’s reviews from earlier this month. These novels target the 13-17 female demographic, a group who may in turn be inspired to pick up a volume of the genuine article and see for themselves the introspective, cathartic power of Plath’s poetry. Today on the blog we feature an interview with author Christine Jackson about her new book John James LaForest Audubon: An English Perspective. Of the book, Jackson said, “It records the background - places, people, politics - against which Audubon’s book The Birds of America was printed and sold in England in the 1830s... 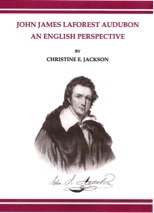 This book throws an interesting perspective on some of the most influential Englishmen of the 1830s and Audubon’s relationship with them.” Jackson is a former librarian and a fellow of the Linnean Society of London who has written a variety of books and articles on natural history subjects. Copies of Jackson’s book can be purchased via e-mail on her website. What surprised you most while researching the book? 1. The bravery of Audubon. After years travelling across wild, uninhabited America, collecting birds and drawing them, he had a heavy portfolio that he carried on his shoulder containing 400 paintings of birds. He then sailed from America in a steam packet bound for Liverpool to search for an unknown engraver in an unknown country equipped only with a few letters of introduction. The only people whom he knew in England were his wife’s sister and her husband and they were hostile to him. 2. Little has been included in earlier books about Lucy and her English family. This has been rectified, with family trees. Portraits of Lucy and her family are included, as well as many other portraits of the men and women mentioned throughout the book. 3. The extent to which Audubon was entertained, wined and dined, staying in the homes of his subscribers and admirers, was remarkable. He possessed charisma and was so outstandingly talented, that he made, and kept, many friends in England. Without this hospitality, Audubon’s finances would have been stretched to breaking point. 4. The fact that the aquatinter Robert Havell was prepared to devote 12 years to engraving 435 of Audubon’s huge prints (39 ½ x 29 1/2 inches) and overseeing the printing of them is extraordinary. Havell also had to organize some 50 hand-colourists to paint the prints which then had to be distributed to the subscribers. Havell was the most skilled aquatinter then alive. When he had completed his task, aquatinting became superseded by lithography and Havell emigrated to America to paint its wonderful landscapes. The chance meeting with Havell in London had led to his wonderful skill being put to Audubon’s purpose of printing his birds life-size. They are still the largest and most skillful bird plates ever produced, yet little fame or praise is accorded to Havell today. What makes Audubon such a perennially fascinating figure? In his early career, Audubon was an abject failure, with one failed business enterprise following another. Once he knew exactly what he wanted to do he became a different person, totally concentrated on his project to record and paint all the birds of America. Apart from the art work involved, he had to organize the selling of the prints - a business enterprise that he carried out efficiently. Audubon’s outstanding talent was a factor in his eventual success, combined with his own charismatic personality that engaged the trust of leading Englishmen in all walks of life. The scale of his ambition was breath-taking, taking great stamina to sustain the project through to the end. He travelled thousands of miles by horse and boat in America, crossed the Atlantic several times, criss-crossed England by stage coach and then the new railways, taking to each form of transport with gusto and resilience. Because of the prices now paid at auction for his book, on the rare occasions when a copy comes onto the market, it attracts huge interest. Complete copies with the 435 plates now sell in excess of £6 million GBP, (approximately 9 million USD), no other bird book coming anywhere near those figures. To whom will your book particularly appeal? There are collectors of Auduboniana - any books or articles to do with Audubon. This one is unique in being about the time he spent in England at a particularly interesting period, written from an English perspective with background historical details. People interested in the social and political background of the 1830s with which Audubon had to contend as a foreigner. Anyone interested in the mechanics of producing such a monumental work as The Birds of America - the obtaining of subscribers, aquatinting, printing, colouring, distribution and the amount of effort required to finance and sell his own book. Collectors of rare books - only some 200 copies of the full complement of 435 plates were issued, many of them now having been broken up and few remain in private hands. Even if a collector cannot afford to purchase a copy, the amazing saga surrounding the book still fascinates. Originally The Birds of America was bought by book collectors, a few by naturalists, several as investments and objects to display to dinner guests as a show of wealth and culture. This highly prestigious item has a glamour all its own for its beauty, rarity and value as a unique record of America’s bird population. My book covers all aspects of the story of the book’s compilation and publication. Reference books to assist with my publications and Chinese porcelain of the Kang Hsi period. Any other publications in prospect? Publication in progress: Menageries in Britain 1100-2000, Ray Society, c/o The Natural History Museum, Dept of Zoology, Cromwell Road, London SW7 5BD. Due later this year. Hoping to find a publisher for Bird Art in the 19th Century. The Thoreau Institute at Walden Woods, a research facility that holds the most comprehensive collection of Henry David Thoreau-related material in one place, has acquired what its curator of collections Jeffrey S. Cramer calls “a dream collection, the last truly great Thoreau collection in private hands.” The collection was amassed over 45 years by bookseller Kevin Mac Donnell of Mac Donnell Rare Books in Austin, Texas. The highlights are thrilling: A Walden first edition--“the cleanest copy in existence,” says Cramer--plus Thoreau’s Aunt Maria’s annotated copy of A Week on the Concord and Merrimack, two manuscript leaves from his “Walking” essay, unbound sheets of “Civil Disobedience,” two books from Thoreau’s personal library, Thoreau family pencils, and unrecorded variant editions. Topping all of those is an extremely rare manuscript leaf from Walden that references Baker Farm (seen below). “That sold it for us,” says Cramer. Baker Farm is where the Thoreau Institute is located, so it feels very much “like it’s coming back home,” he adds. When Cramer received a notice from Mac Donnell offering the collection, he was immediately very interested. He flew down to Texas to meet the bookseller and survey the collection. Mac Donnell, Cramer says, hoped it would end up in an institution. “It’s a wonderful thing for both of us.” Mac Donnell agreed, saying that it is “easier to let it go” back to Massachusetts. The Thoreau Institute Library (a.k.a. The Henley Library, named for its founder, singer and songwriter Don Henley) collects, preserves, and provides access to 60,000 Thoreau-related manuscripts, books, maps, correspondence, art, and the Thoreau Society archives. Its location so near Walden Pond and other literary attractions and archives is a boon for both researchers and tourists. Cramer says the collection will be open in about a month. He is still sorting through the boxes and working on a catalog, a webpage, and some limited photography. 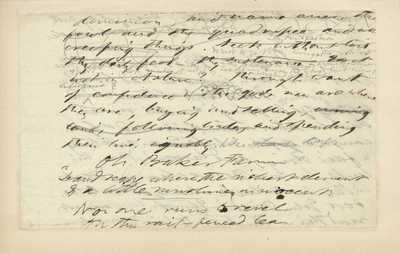 Image: A draft manuscript leaf of Thoreau’s Walden, in which he writes, “Oh Baker Farm!” Courtesy of the Walden Woods Project. 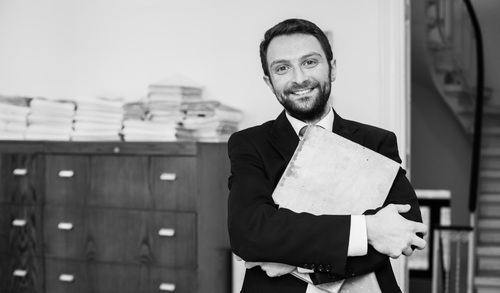 During my years at university I first read for a bachelor of laws degree and subsequently read for a doctor of laws degree, both at the University of Malta. My collection is composed of antiquarian books on Malta and as a consequence, rather than by intention, on the Order of St John, who occupied the island between the years 1530-1798. Though the two subjects are often considered to be synonymous I keep them as far apart from one another as they were in reality. My collection is primarily intended to celebrate the literary achievements of numerous unsung Maltese authors whose unwavering desire for both intellectual and actual freedom from oppression gave Malta an identity when the rest of the world believed it to have none. In all I have around a hundred antiquarian volumes. This does not include contemporary publications of which I have a separate collection of a few hundred volumes. Leggi e Costituzioni Prammaticali (1724) affectionately known as the Codice de Vilhena, after Grand Master Manoel de Vilhena, who commissioned the publication. This is the first printed codification of laws to govern the island. Although the book’s imprint states that the book was printed in Malta in 1724 this is in fact false. The book could not have been printed in Malta since, following a spat with the local diocese and the inquisitor in the 17th century, the only press the island had was closed down and Malta was, as a consequence, plunged into darkness for a century. The book was in fact published in Naples with a print run of a mere 230 copies. It contains a beautiful engraving of Grand Master Vilhena executed by Pietro Paulo Troisi, a renowned Maltese silversmith and engraver. This particular copy belonged to Fra Giuseppe Zammit, the surgeon general during Vilhena’s magistracy. Il Vangelo di nostro Signore Gesù Cristo secondo San Giovanni, the first translation of a biblical text into Maltese, translated by Giuseppe Cannolo and printed in London in 1822. So far I can genuinely say that no book I set my heart on has gotten away. This may have something to do with the overzealous manner in which I pursue books I want. On one particular occasion I flew to Paris just a few hours after having found out that a very special book had just surfaced there. In truth there was no reason why the book couldn’t be shipped overnight to me but I felt I needed to chauffeur it home. It takes all sorts. Statuta Ordinis Domus Hospitalis Hierusalem (Rome, 1556). Although this work is one of the few books in my collection not written by a Maltese and which holds a greater affinity to the Order of St John than to Malta, this book is one of the jewels in my collection. This book contains the first set of statutes belonging to the Order of St John following their expulsion from Rhodes in 1522 and their resettlement on Malta in 1530. These statutes pre-date the Ottoman siege of Malta by nine years and were compiled ten years before the foundation stone of the Maltese capital city, Valletta, was laid. The work was printed by Antonio Blado (1490-1567) who was also printer of the first edition of the ‘Index Librorum Prohibitorum’ as well as of Machiavelli’s ‘Il Principe’ and ‘Discorsi’. This exquisite work, still bound in 16th century vellum, contains an engraved title page depicting the cross of the Order in red ink applied in stencil at the time of printing and also contains large historiated capitals throughout. I have bought books from all over the world and have had the pleasure of visiting countless bookshops and of having met many booksellers so it is difficult to say. The bookseller who immediately comes to mind is Bégonia Le Bail. My favourite bookshop would have to be Librairie Bertran in Rouen. Though I never actually bought anything from this shop, its internal and external décor, coupled with the fact that it is strategically positioned behind the Cathédrale Notre-Dame de Rouen make it, in my opinion, the ideal bookshop. What about your favorite book-related experience? In 2010 I was alerted to the appearance of an especially important publication, the highly seditious Mustafà Bassà di Rodi schiavo in Malta (Naples, 1751). I had been interested in this book since I had first heard of it and was eager to acquire it. The bookseller who brought it to my attention, a French-Algerian gentleman, told me that I could collect it at the 2010 edition of the Salon du livre ancien de Paris. Though initially deterred by the fact that I’d be sitting for my law finals just 10 days or so later, this apprehension only lasted a few seconds and I proceeded to book my tickets to Paris. I was the fourth person to enter the fair - the three before me being members of the press. I rushed to the stand, bought the book, did a couple of rounds, and ran back to my hotel room as if I had stolen it. That night I was meant to be flying back to Malta but little did I know that Mother Nature had other plans. While browsing through the BBC website I came across a rather inconvenient article, the headline of which read ‘Airspace over Charles de Gaulle airport closed’. After almost breaking the F5 key on my keyboard the headline refused to go away and instead now read ‘Airspace over Charles de Gaulle and Orly airports closed’. Ordinarily I wouldn’t mind being trapped in Paris, however, with finals now mere days away, an indefinite holiday was not quite on. A friend of mine at the airline told me that the cause was an ash cloud caused by an uncooperative volcano in Iceland and that there was no telling how long Parisian airspace would be closed for. He suggested that I make a dash to Marseille as the ash cloud had apparently not reached there yet. I left for Marseille first thing the next morning only to discover that the ash cloud had beaten me to it. I’d have seen the funny side had I not been carrying a valuable, fragile book in my backpack. Subsequent advice suggested that I go further south still - to Rome. My thirst for adventure (read: crippling fear of failing exams) was overwhelming, and before long I had in my hand a train ticket to Rome. After a picturesque train-ride through the Alps, a night in Nice, a brief stay in Monte Carlo, and an eight hour trip along the western coast of Italy, I finally arrived in Rome and then Malta, with the book still intact. I’ve never been happier while placing a book on the shelf for the first time. For a number of reasons, my favourite book is the one I bought in Paris, Mustafà Bassà di Rodi schiavo in Malta. Apart from taking it on a weird sort of honeymoon just a day or so after having bought it, I also wrote a history about its publication, circulation and prohibition. This wonderful publication was composed in the months following the bloody massacre of the slaves in Malta in July 1749. Since it saw the light in Naples in 1751, the book was the source of much speculation and controversy. The book was printed under the name ‘Michele Acciard’ but had been widely attributed to the Maltese priest, Francesco Agius de Soldanis, on the strength of various contemporary documents suggesting his authorship. 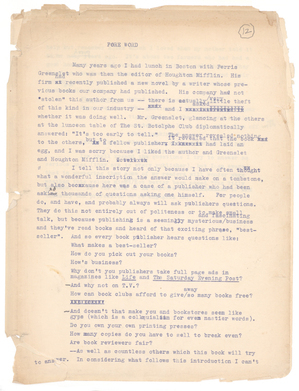 When the book was first conceived it was intended to recount the failed uprising of the slaves, however, following alleged manipulation of the manuscript, the book was printed not as a mere history book, but rather as a work of significant political importance, due to the numerous subversive statements which had been added. The author challenged the legitimacy of the Order’s occupation of the Maltese islands and instigated the Maltese to rise up in arms against their rulers. As a result, the book was mercilessly scoured from the Maltese islands and beyond by the Grand Master, causing the book to almost disappear entirely. Have you ever published anything yourself? Yes. I have written a number of papers of the history of various prohibited and anonymous books in my collection and last year I wrote my first monograph on the history of Mustafà Bassà di Rodi schiavo mentioned above. I am currently composing my second monograph. I’d probably collect Maltese ephemera or eighteenth century French political caricatures. To be an Austen completist would be quite a diabolical endeavor! 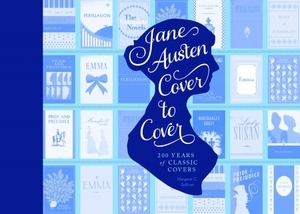 I spent the weekend paging through a new book called Jane Austen Cover to Cover: 200 Years of Classic Covers (Quirk Books, $24.95), a well designed book about book jacket design. From the first edition of Sense and Sensibility in 1811, in what appears to be bland, half-bound calf, to the 2009 Penguin PBS/BBC tie-in edition of Emma with actress Romola Garai gracing the cover, this book presents full-color illustrations of Austen cover art. The point is to see how Austen--both her work and her personal image--gets interpreted and re-interpreted, and how book packaging gets better (or worse) over time. It’s heavy on the post-1980s flurry of Austen reprints, with every ‘classics’ publisher out there trying to cash in on Austen’s popularity (thank you, Colin Firth). Jane Austen Cover to Cover is obviously a must for Janeites, and it will also be of interest to those interested in book design and popular book history. Although persnickety types might have preferred more in the way of bibliographical descriptions of size, binding material, etc. for each edition in addition the artistic details she offers, beginning and intermediate collectors will value Sullivan’s book as a guide to an author so perennially in vogue that tracking her many editions would seem an impossible task. Welsh poet Dylan Thomas (1914-1953) is being fêted in his homeland and abroad on the eve of what would be his 100th birthday. Thomas’ works include ‘Do not go gentle into that good night’ and ‘The hunchback in the park.’ The subject of much literary criticism and commentary over the years, he has also been compared to giants like T.S. Eliot and W.H. Auden. Activities such as hikes along Thomas’ favorite trails, music festivals and exhibitions commence on October 27, the poet’s birthday, and run through the date of his death on November 9th. A two day “Do Not Go Gentle” music and literary festival will take place at the Centre from October 24 through the 26th. The program includes local musical and artistic performances that the promoters believe would have pleased Thomas, who often found inspiration among the people of his beloved city. Thomas loved a good Welsh ale too, and so there will be plenty of local libations available. The Centre recently opened an exhibit showcasing manuscripts of poems, lists of rhyming words and photographs of Thomas. These items are on loan from SUNY Buffalo Special Collections Library, which is also commemorating Thomas’ centennial. The university’s Thomas holdings are in good company at SUNY’s Poetry Collection, one of world’s the largest collections of English language poetry, broadsides and anthologies from the 20th and 21st centuries. 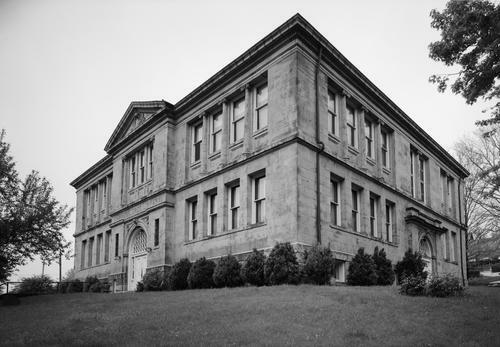 The Carnegie Free Library staff in Connellsville, Pennsylvania made a startling discovery when they removed a large bush from library grounds and revealed a stone hiding a time capsule. Library officials knew that a time capsule had been placed when the library was built in 1901, but records did not reveal its exact location. After discovering the time capsule, the library hosted a public reception for its opening. Inside the time capsule, library members found a very well-preserved cache including newspapers and meeting minutes from the town council relating to the construction of the library. They also found business cards, photographs, medallions from military service, a phone directory, and an Indian head penny, amongst a variety of other objects that offered a detailed snapshot of early 20th century life in Connellsville. Connellsville was at that point peaking as a coke manufacturer and could brag that more millionaires per capita resided there than anywhere else in the world. After examination by scholars, the materials discovered in the time capsule will be put on display in the library. Loker is a member of the Book Club of California and the Grolier Club, where she is also the curator of the One Hundred Books Famous in Children’s Literature exhibit, which opens on December 9. More on that in our winter issue. Loker is a member (and past board member) of the Antiquarian Booksellers’ Association of America, and serves on the board of the children’s literacy organization Bring Me A Book. She is married to bookseller John Windle. 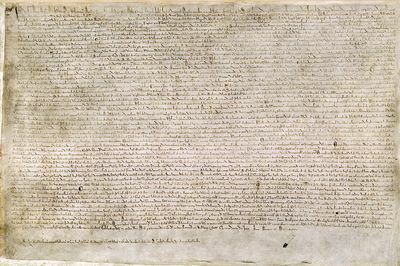 Next year commemorates the 800th anniversary of the sealing of the Magna Carta and events are already being planned, including an exhibit at the British Library that we previously profiled on this blog. Of course, most commemorative events require the attendee to live near a major institution hosting an exhibition. To help spread the celebrations further afield, the academics at Royal Holloway - a college of the University of London - are hosting a MOOC (Massive Open Online Course) about the Magna Carta that anyone around the world can enroll in. “We are home to some of the world’s experts on Magna Carta in its thirteenth century context and on its reinterpretation and reinvigoration in the seventeenth century, so we’re invested in making the commemorations of the 800th anniversary of the sealing of Magna Carta as successful as possible,” wrote Emm Barnes Johnstone, a historian of medicine at Royal Holloway. The free six week course will examine why the Magna Carta was radical in its day, why it has been the subject of numerous debates, and why it remains important and relevant today. Interested people can find out more and sign up for the course entitled “The Magna Carta and Its Legacy” online at Coursera. Coming up this week on Friday, the winners of the National Collegiate Book Collecting Contest will be feted at the Library of Congress. With encouragement from Fine Books & Collections, which launched the contest back in 2005, the Antiquarian Booksellers’ Association of America (ABAA) now carries the baton for this competition, with support from the Fellowship of American Bibliophilic Societies (FABS), the Center for the Book and the Rare Book and Special Collections Division (Library of Congress), and the Jay I. Kislak Foundation. Our longtime featured columnist and author, most recently, of On Paper, Nick Basbanes, will give this year’s talk on the dynamics of collecting over the last 25 years, as he’s witnessed it. A grand time will surely be had by all. Another trio of important prizes was given out last week at the LOC. The 2014 Library of Congress Literacy Awards, held on October 8, were originated and are supported by philanthropist (and book collector) David M. Rubenstein, and he gave the keynote address. Michael Suarez, director of Rare Book School, also delivered remarks. is Africa and Southeast Asia. The third-grade reading level is widely recognized as a key indicator of a child’s future educational success. A student who cannot read on grade level by third grade is four times less likely to graduate by age 19 than a child who does read proficiently in third grade. In 1992, the Oregon Children’s Foundation created a program to address the growing number of elementary school children who were reading significantly below grade level. Start Making a Reader Today (SMART) now operates at more than 250 program sites throughout the U.S. and serves approximately 9,000 children each year. The Mother Child Education Foundation (AÇEV) was started in 1993 and is the largest literacy organization in Turkey. Its mission is to empower the Turkish people through education and enable them to improve the quality of their lives. It operates a variety of projects designed to address family, adult and early childhood literacy. At the time of AÇEV’s founding, only one in 10 children received any form of preschool education before starting primary school, resulting in large deficits in readiness to learn. AÇEV developed the Mother Child Education Program (MOCEP) for low-income mothers and children without access to preschool education. However, early MOCEP trials revealed that not all participating mothers were literate and therefore many were unable to carry out the collaborative cognitive exercises with their children, pushing AÇEV into a complementary area of need, adult literacy. Poe fans have much to celebrate - there was last Sunday’s statue dedication in Boston, Susan Jaffe Tane’s Poe collection is on exhibit at the Grolier Club, and a movie based on his short story “The System of Doctor Tarr and Professor Fether” will appear in theaters just in time for Halloween. While Poe’s popularity endures as the father of the modern detective genre, in his lifetime, he was better known as a critic. 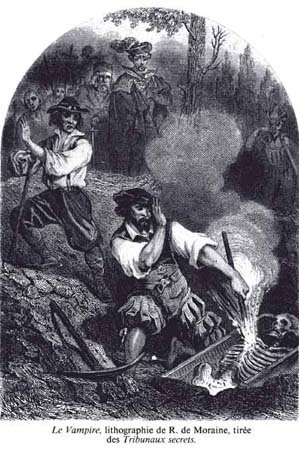 “The Tomahawk” was Poe’s well-earned moniker for his notoriously vicious, slashing, brutal book reviews. He was prolific as well--over fourteen years he published almost 1,000 critical essays and reviews--all of which can now be found in a one volume edition published by The Library of America. Adam Gordon, Whitman College English professor and Poe scholar, says the invention of the steam press and the subsequent proliferation of cheap weekly tabloids created massive venues for lousy writers, and that readers needed guidance navigating these vast, uncharted, literary waters. “Poe felt there were too many bad books out there, and that the job of the critic was to separate the weak from the worthwhile.” A transatlantic literary conflict known as the ‘Paper War’ wherein American critics praised anything American while their British counterparts would slam work written stateside, plus a lack of international copyright did little to quell the uptick in poorly written publications. This blindly nationalistic criticism muddied what Poe considered to be America’s admirable budding national literature, and so spurred him to hack away at those he deemed unworthy. Our Bright Young Librarians series continues today with Peter Sjökvist, Librarian at the Section for Early Printed Books and Special Collections, Uppsala University Library in Sweden. Well, I remember that old books fascinated me already as a child, but it was when I studied Latin at the university, specializing in Latin from the early modern period, that my real interest in this wonderful material grew. During my education in library and information science at Uppsala University (Sweden) cataloguing and early printed books were soon the two fields which I really wanted to explore further, and I have continued to do so ever since, in one way or another. Since I have a background as a researcher in neo-Latin, having defended my PhD thesis in Latin at the same university in 2007, I try to combine research and librarianship as much as possible. And the common denominator is rare books. As a librarian at the Section for Early Printed Books and Special Collections in the old main building of Uppsala University Library, called Carolina Rediviva, my main responsibility is cataloguing of early printed books. This library has wonderful collections from all ages, so it is really a pleasure. But the work includes so many other things as well: to receive and to show the collections to visiting students and groups, to assist researchers, to arrange seminars, to write articles, etc. There is actually a gem among the books that I have been working with so far, which is my personal favorite, although it is of course impossible to select just one in reality. But the book I’m thinking of is a book of hours from 1515, printed in Paris on parchment. It used to belong to the order of the Barnabites in Paris, and was donated to our library in the 1960s by a private person. It contains a large amount of wonderfully charming illuminations made by hand. It is an excellent example from the period of transition from manuscript to print culture, and in addition a very beautiful one. I do not really collect books personally. I have some old ones, but I actually bought them only to use them as handbooks in my Latin research. They are still highly relevant from that point of view, although they were published in the 17th century. For the moment I exercise and do sports in one way or another as much as I can. Running is the favorite. Rare books and running, that is a perfect combination. It is the fact that you work with and hold history in your hands every day. I never get used to and tired of opening an old book and investigating what it contains, who has owned it, where it has travelled, etc. This is a quite extraordinary thing with our work, and something I try to convey to the visitors I meet at the library. Another thing is of course that rare book librarianship is such a wide field. It is interdisciplinary in its true sense, and presupposes knowledge and interest in subjects ranging from languages and history of all kinds to preservation and practical library management. 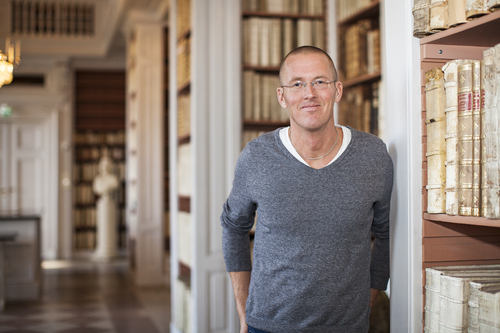 Thoughts on the future of special collections / rare book librarianship in Sweden? In a time when more and more material is digitized, I think our mission is also to stress the importance of the physical objects and the actual copies that our libraries keep. Digitization is of course good and worth all efforts, from several points of view: access, preservation, etc. But when the actual texts are to a large extent available on the Internet, and when the same issues of early printed books have sometimes been digitized by several different institutions worldwide, the libraries still keep the physical copies. We should therefore more than previously try to investigate the contexts of the single copies, i.e. provenances, their history, annotations in hand, book bindings, etc., and pass the information on to the users in catalogue records and other ways. More typical of rare book librarianship in Sweden is probably one aspect that we recently highlighted in a national seminar at out library. From the wars of the Swedish armies on the continent (especially Poland, Germany and Denmark) in the 17th century, there is in several Swedish libraries a substantial portion of books that were taken as war booty during these campaigns. The question is surely delicate, and not always so pleasant to deal with. Taking cultural objects as war booty is strictly against the international laws of our time, but in the 17th century it was actually allowed, following the principles established by Hugo Grotius. Sometimes restoration of material was also settled in peace treaties. But now when more than three hundred years have passed, we still have to deal with the matter in a way that is respectful to all parts. And here the new technology is extremely helpful. By increased possibilities to give access to material online, we could actually restore these collections to researchers in their countries of origin virtually, when physical restoration is no longer an alternative. To do so could be one of the main priorities for Swedish rare book librarians in the near future, I think. We have for example a Copernicana-collection, taken as war booty from Frombork (Frauenburg) in Poland in 1626, which contains books once owned by the famous Polish astronomer Nicolaus Copernicus. Another is the Bodoni-collection, which is the most important collection of printed material produced by the Giambattista Bodoni outside of Parma. In our manuscript department we have for example the Düben-collection, containing music manuscripts and printed items gathered by the Swede Gustav Düben, who was music director at the royal Swedish court in the 17th century. Among other things it contains a big portion of vocal music composed by Buxtehude. Next year we will arrange two different exhibitions, both celebrating the anniversaries of important historical persons. The first, opening in May next year, will be on the anatomist Andreas Vesalius, who was born in 1514. The second, which will open in the autumn, will be on Aldus Manutius, who died in 1515. Students at the State University of New York at New Paltz had the option this semester to enroll in “Digital Tools for the 21st Century” (DHM 293), led by Professor Annie Swafford, a newcomer to the department of English. A poster advertising the class posed the questions: “Do you want to learn how to read 10,000 books at a time? Create maps of crimes in Sherlock Holmes’ London?” I, for one, was intrigued, and as a part-time prof. in the Communication & Media department, I asked Swafford if I could sit in on her class, and she was happy to have me. Last week, we were introduced to Andrew Stauffer’s Book Traces project, and following a brief tutorial on 19th-century book publishing, the class set out on a scavenger hunt in NP’s Sojourner Truth Library to document marginalia in books published between 1820 and 1923. 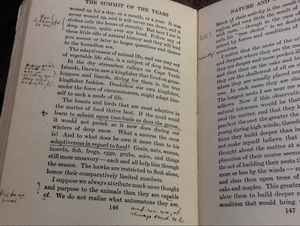 I set my sights on books by naturalist John Burroughs, and after thumbing through a couple of disappointingly barren volumes, the third book I pulled--a 1922 edition of The Summit of the Years--teamed with notes throughout several of its chapters. Strangely, the essay, “A Barn-Door Outlook,” was copyedited in pen. If this were a first edition, I’d have suspected Burroughs himself of preparing for a second printing. But as this printing was issued nine years after initial publication, I assume these are the markings of a wannabe copyeditor; or perhaps a reader who added his own words and sentence constructions to help make sense of Burroughs. Another essay, “Nature and Animal Life” is copiously annotated by the same reader, but this time copyedits are replaced with neatly penned marginalia that questions, subscribes to, and expounds upon Burroughs’ writing. At one point, the reader dated his (her?) notes with a “1930,” eight years following the book’s printing. “Thousands of old library books bear fascinating traces of the past,” proclaims booktraces.org. And this old John Burroughs, bound in green cloth, is no exception. In addition to the reader’s handwritten notes, there’s a pasted-in print of Burroughs at his writing desk; a Sojourner Truth Library bookplate revealing Russell H. Waines, dept. of Geological Sciences, as the donor of the book; plus a yellowed card pocket betraying the book’s former owner: Windham College, in Putney, VT (which closed its doors in 1978, on the heels of declining enrollment following the Vietnam War, according to the Nashua Telegraph). If you want to read Burroughs’ Summit of the Years, go ahead and download the Google eBook. But for some added value and “traces of the past,” check out QH81.B972, in the stacks of Sojourner Truth Library, New Paltz, NY. Editor’s Note: A profile of the Book Traces project, including an interview with its founder, University of Virginia professor Andrew Stauffer, is available in the fall issue of FB&C. The home was a rare surviving example of a suburban Victorian villa and ten years ago was listed as an “at risk” property. The $4-million renovation has transformed the home into a fully-functional museum, complete with original artifacts and period furnishings and decorations. Interactive museum exhibits and a garden of plants mentioned in Gaskell’s writing round out the experience. 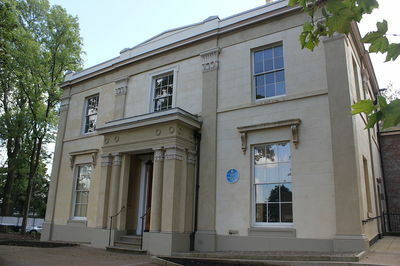 A variety of famous literary visitors stayed at the home while Gaskell was in residence, including the Brontes, Charles Dickens, John Ruskin, and Harriet Beecher Stowe. Comments from house visitors, as well as notes made by Gaskell herself, helped researchers meticulously re-create the interior of the house in its heyday. Gaskell’s star has risen in recent years, thanks to a slate of popular television productions of her novels. The house opened to the public on Sunday, October 5. Have you noticed the uptick in Edgar Allan Poe-related news? The classic American author is getting more attention than the typical October coverage of Gothic literature, due to a major exhibit, a statue reveal, and several lectures and related events. 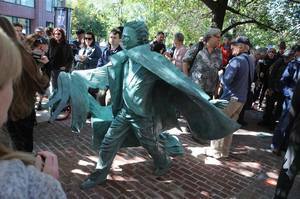 FB&C subscribers will note that Nick Basbanes’ column in the newly published fall issue focuses on the Boston Literary Cultural District, launched in earnest last week and topped off yesterday with an unveiling of sculptor Stefanie Rocknak’s bronze statue of Poe on the corner of Boylston and Charles streets. 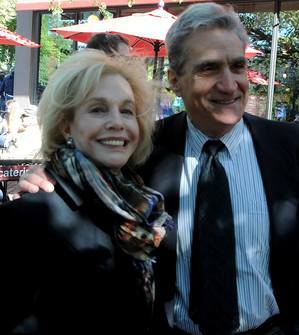 Basbanes attended the event alongside 500 other Poe fans, as well as the former US poet laureate Robert Pinsky and philanthropist and rare book collector Susan Jaffe Tane. Basbanes snapped a picture of Poe Returning to Boston (above) and of Pinsky and Tane (below). We were also treated last week to an exclusive interview with Tane, the leading collector of Poe books and manuscripts, whose exhibit, Evermore: The Persistence of Poe, is currently on view at the Grolier Club in Manhattan. Tane was interviewed by A.N. Devers, who held a talk last week about Poe’s afterlife at the Morbid Anatomy Museum in Brooklyn. Tomorrow, she will moderate a Poe-themed discussion at Brooklyn’s Community Bookstore, and on the 16th, she will lead a reading group around Poe’s The Narrative of Arthur Gordon Pym at the Center for Fiction in Manhattan. Images Credit: Nicholas A. Basbanes. Used by permission. Lauded as the Hans Christian Andersen of our time, Caldecott Medal winner Jane Yolen continues to produce books and poems that inspire readers of all ages. Now, Joslin Hall Rare Books, located in the bohemian, eclectic college town of Northampton, MA, is offering a limited-edition run of poetry broadsides signed by the author. Yolen is currently recuperating from back surgery, but if her work ethic is any indication, she’s already completed a few poems to meet her daily quota. When we spoke, recent eye surgery kept her from looking at a computer screen for a while. “Some days I cheat and write three or four poems in case something comes up.” Poetry subscribers can rest easy knowing that Yolen has already prepared their morning compositions. Perhaps keen subscribers will pick up the Joslin Hall catalog and recognize bits of earlier works they saw first via email. 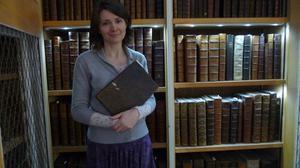 Our Bright Young Librarians series continues today with Lara Haggerty, Keeper of Books at the Library of the Innerpeffray in Scotland. The Library of Innerpeffray is Scotland’s first free public lending library founded in 1680 and is located in beautiful rural Perthshire. We have a lovely Georgian building and a collection of some 5000 books, covering five centuries and an amazing register of borrowers: local reading history from 1747 to 1968. My job is Keeper of Books, and I’m the 31st Keeper at Innerpeffray. The role is a very varied one: I live on site and the Library is now a museum. We are open eight months of the year, so my task covers curating exhibitions, marketing and promotion as well as doing guided tours and managing our brilliant team of volunteers. I also do fundraising which is crucial for an independent organisation, and all the day to day business. I’ve always been a book lover, but rare books was a new venture for me when I came to Innerpeffray, as I spent my early career in the arts, mainly in theatre management, and then in a local authority role advising schools on arts and heritage. I owe thanks to the National Library of Scotland and the Rare Books in Scotland group for advice and training ‘on the job’. My degree is an MA(Hons) in English Literature and Theatre from the University of Glasgow. It has to be our Borrowers’ Register - and meeting the descendants of Borrowers. In the early part of the register borrowers wrote out a promise to return the book ‘safe and unspoiled’. It is such a personal insight into the past to see the book your ancestor borrowed from the library. I’ve very fond of early Penguin crime / thrillers, so very different in quality from the books I handle day to day, many of them falling apart at the seams, but I love the aesthetics of typeface and the classic green and white covers as well as the style of the writing. Apart from reading, I’m lucky to live in a very beautiful part of Scotland and I enjoy being out in it. What excites you about curatorship? A thousand things! Telling a story with our collection, seeing visitors make their own connections. Our collection is small, but very varied, so there is challenge and reward in making each new exhibition appealing and engaging. Thoughts on the future of special collections? I think it has to be one of the most important and interesting areas of conservation and curatorship, but will have to fight for its place. We are lucky enough to have just been gifted an amazing collection of Scottlsh First Editions from American bibliophile Janet St Germain. Innerpeffray’s original collection wasn’t particularly Scottish so this complements it wonderfully. As well as an incunable (our first, Duns Scotus) there is a wonderful collection of music and poetry including Burns and Ramsay and Enlightenment philosophers and scientists like Hume and Smith. In 2015 we will have an exhibition guest curated by a post grad student from University of Stirling and the topic hasn’t yet been finalised. Our other exhibition for the year ahead looks likely to be about Dictionaries & Cyclopedia and will be called Words Words Words. Coming up this very weekend is Oak Knoll Fest XVIII. 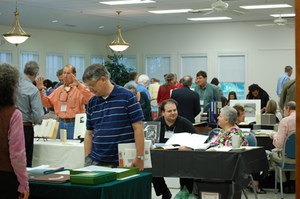 This three-day gathering of book artists, collectors, librarians, and booksellers in New Castle, Delaware, occurs every other year. Kicking off events is a Friday symposium on “Craftsman to Collector: Selling and Buying the Fine Press Book” featuring John Randle of the Whittington Press; Russell Maret, type designer and printer; Simon Lawrence of the Fleece Press; Tim Murray, head of special collections at the University of Delaware Library; Vicky and Bill Stewart of Vamp and Tramp Booksellers; and Ian Kahn of Lux Mentis Booksellers. A full schedule of events is available, and p.s., there is also a 20% off everything sale at Oak Knoll Books & Press all weekend! Image: From the 2012 Oak Knoll Fest XVII, via the Oak Knoll Blog.